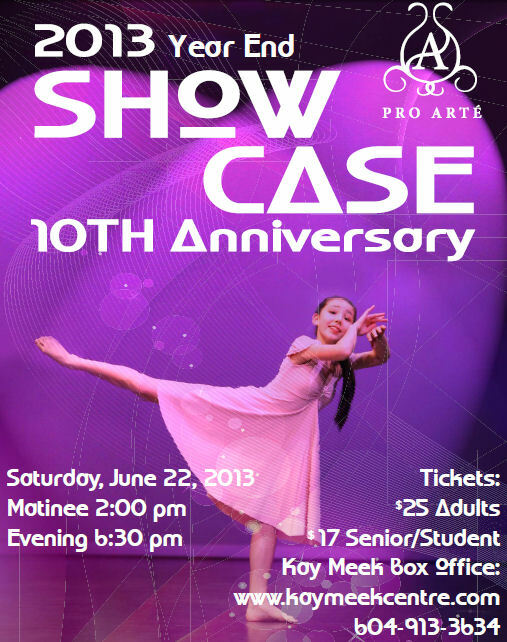 Coming up this weekend … the 10th Annual June Showcase featuring all of the students of Pro Arte Centre. From Musical Theatre to Classical Ballet AND everything in between … this is the show to see!! Tickets are available at the Kay Meek Box Office at www.kaymeekcentre.com. Don’t miss out on this opportunity to see the talent and efforts of our students from ages 3 to 19. There are two shows to select from: 2:00pm Matinee and 6:30pm Evening. Come to one … or both!! !